Elie Saab does wonders with adding embellishment to her designs, and they are truly extraordinary. Even the fabric itself (sleeves, which appear to be tulle) have a unique texture that is just wonderful. 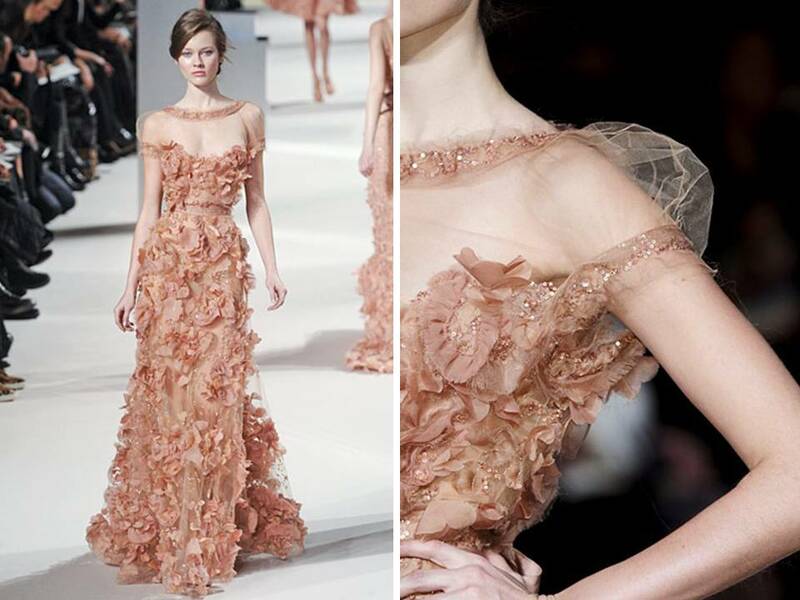 While the sleeves and the dress differ in texture, it all combines into a beautiful creation. Color can be used in so many ways. 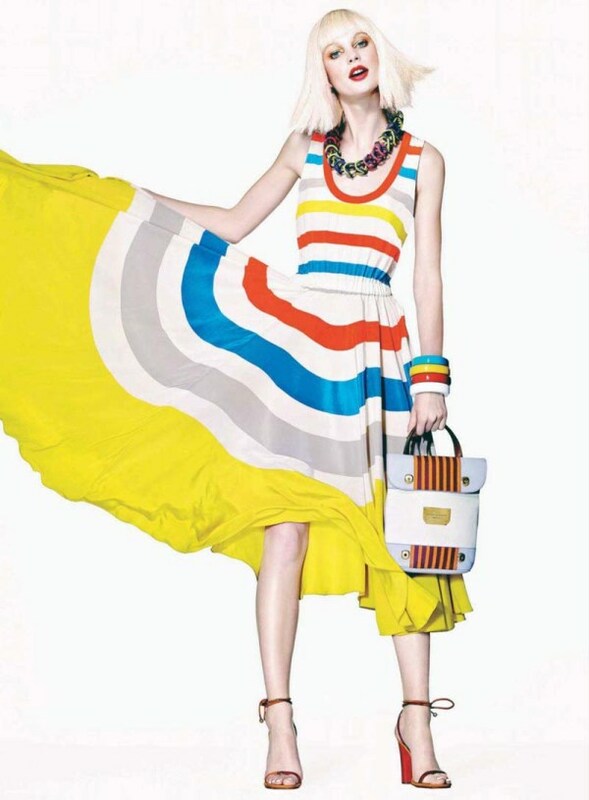 Mixing the three primary colors (blue, red, and yellow)makes a garment extremely bold. Secondary colors (green, purple, and orange) are a little more calm. Color can make or break an outfit in its cohesiveness. Okay, we all know that Pippa Middleton is known for her body, and this dress shows why! It is a beautiful dress in and out of itself, but what really makes it special is the fit of it. The dress hugs curves, while adding a little bit of body where needed. In my opinion, fit is probably the most important aspect of a garment. If the fabric is a strange color or pattern, the fit can make it into a beautiful dress. The fit enhances the body. A structured garment can give off a sense of a structured life. That’s probably why every Wall Street worker wants a structured suit. If they look put together physically, then they are more likely to be put together mentally (if that makes sense). 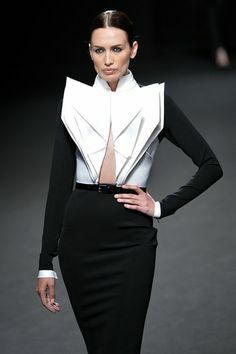 Structure (as in the photo) can also add interest into any article of clothing. This jacket is a conversation starter: it is the star of an outfit. Regardless of color or which piece of the outfit it is; structure can add interest into any outfit.